These one-bedroomed villas are pure indulgence: an apartment-sized beachfront property with a spacious master bedroom with a king sized bed facing the Ionian Sea. 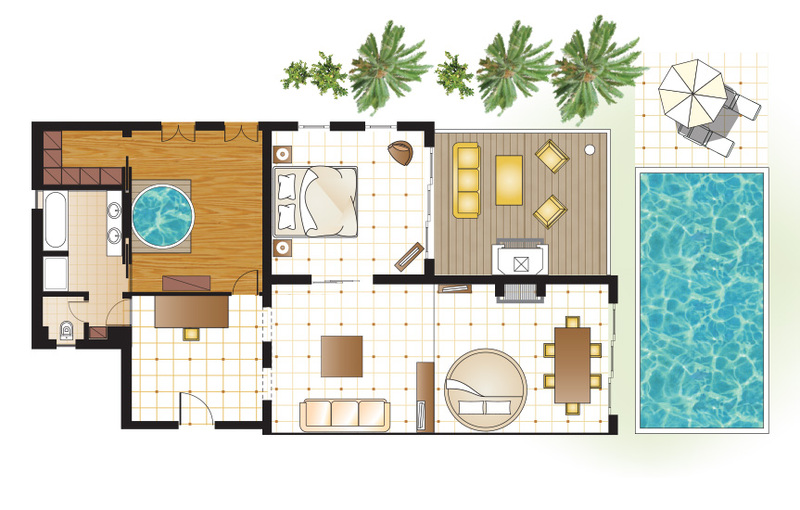 Layout: One Master Bedroom suite. Separate living and dining area. Gym area. Outdoor living area. Bath: One extravagant en-suite bathroom with wooden floors, romantic Jacuzzi bathtub for two, two wash basins, separate shower cabin and bathtub. Pools: Private swimming pool 32 sq.m.